As is true for orthopedics in general, the assessment of a sports related injuries of the foot and ankle begins with a good history and physical. While many maladies are readily diagnosed, often a differential remains. In these instances, imaging assessment is often useful. Additionally, as our understanding of injury to the foot and ankle evolves, a more nuanced approach to treatment has developed. Imaging is often required to optimize treatment. This brief chapter is intended to provide an overview to imaging sports related pedal injuries. This chapter is not a comprehensive review. Whole books intended to provide such information have been written. Rather, this manuscript is intended to provide information to guide the reader in deciding when and with what imaging modality to assess a patient further. By necessity and design, this manuscript is based much upon the author’s opinions and experience. It is understood that different imaging approaches to a clinical problem are possible, depending upon the experience of the imager and which imaging modalities are readily available. Saha S, Burke C, Desai A, Vijayanathan S, Gnanasegaran G. SPECT-CT: applications in musculoskeletal radiology. Br J Radiol. 2013;86(1031):20120519. Epub 2013/10/08. doi: 10.1259/bjr.20120519. PubMed PMID: 24096590; PubMed Central PMCID: PMCPMC3830427. Nwawka OK, Hayashi D, Diaz LE, Goud AR, Arndt WF, 3rd, Roemer FW, et al. Sesamoids and accessory ossicles of the foot: anatomical variability and related pathology. Insights Imaging. 2013;4(5):581–93. Epub 2013/09/06. doi: 10.1007/s13244-013-0277-1. PubMed PMID: 24006205; PubMed Central PMCID: PMCPMC3781258. Morshed S, Corrales L, Genant H, Miclau T, 3rd. Outcome assessment in clinical trials of fracture-healing. J Bone Joint Surg Am Vol. 2008;90(Suppl 1):62–7. Epub 2008/03/20. doi: 10.2106/jbjs.g.01556. Starr AM, Wessely MA, Albastaki U, Pierre-Jerome C, Kettner NW. Bone marrow edema: pathophysiology, differential diagnosis, and imaging. Acta Radiologica (Stockholm, Sweden: 1987). 2008;49(7):771–86. Epub 2008/07/09. doi: 10.1080/02841850802161023. McCormick JJ, Anderson RB. Turf toe: anatomy, diagnosis, and treatment. Sports Health. 2010;2(6):487–94. Epub 2010/11/01. doi: 10.1177/1941738110386681. PubMed PMID: 23015979; PubMed Central PMCID: PMCPMC3438874. Theodorou DJ, Theodorou SJ, Kakitsubata Y, Lektrakul N, Gold GE, Roger B, et al. 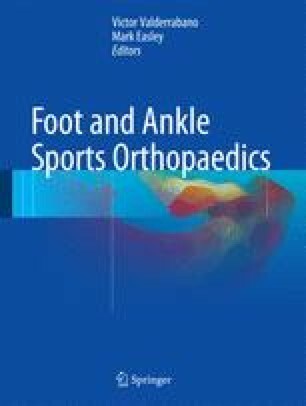 Plantar fasciitis and fascial rupture: MR imaging findings in 26 patients supplemented with anatomic data in cadavers. Radiograph Rev Publ Radiol Soc N Am, Inc. 2000;20 Spec No:S181–97. Epub 2000/10/25. doi: 10.1148/radiographics.20.suppl_1.g00oc01s181.